Curious, I began asking various devotees more about you. 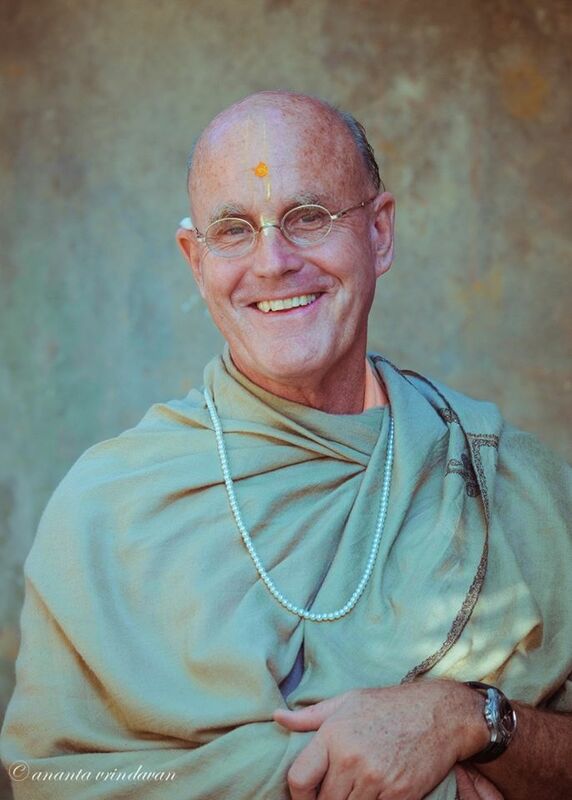 I am happy to report that each and every devotee I contacted in America had only praise for your many years of service to our beloved spiritual master, Srila Prabhupada. Time and again I heard you glori-fied as a long-standing book distributor, humble devotee, loyal ISKCON follower, and, most significantly, a Prabhupada Man. I became elated that you would join us on the tour. And join us you did! As soon as you came you were giving classes, going on harinama, preaching in the Questions and Answers tent, and helping in any way requested of you. Many tour devotees remarked how enthusiastic you were. It was our good fortune that you visited several times over the years. On behalf of all the Polish festival tour devotees, I thank you very much. As I hear about you going through this final challenge, I can only admire the example you are setting. Your courage and your faith in Krsna at this momentous hour is outstanding. I noticed the same in our god-brother Sridhar Maharaja before his departure. It gives me confidence that I, too, can follow in the footsteps of such godbrothers and be fearless at the time of death. I believe such fearlessness is due to detachment from all the temporary things of this world and a genuine love for the spiritual master and Krsna. Such realizations come only after a lifetime of sincere and dedicated service. I bow down to your lotus feet. All glories to you. Everything is going away from my hands; every material hope which I had. But I am still a child in spiritual life. I wish I had a little love or spiritual bhava within my heart. But I have deep, firm faith in you. I am happy because of this faith, and I’ll be keeping it as a great treasure. It gives me another kind of faith to be back in the spiritual world and attain the service of the lotus feet of Sri Sri Radha-Syamasundara. And this kind of faith is faith in real things which, I am sure, are existing and are just waiting for me at that side of the door. I am indebted to you so much that you are guiding me in my spiritual life, although I feel so much separation from you. Thank you for your brief association in this lifetime. I only wish I had had the honor to meet you earlier. I hope to be blessed with the good fortune of serving with you in a future lifetime. Or perhaps, by the causeless mercy of Srila Prabhupada, we may meet again soon in the spiritual sky – where all walking is dancing, all talking is singing, and there’s a festival every day.